Leadership - Asclepius Life Sciences Fund, L.P.
Asclepius Life Sciences Fund, L.P. is uniquely positioned to participate in the rapidly evolving life sciences landscape. 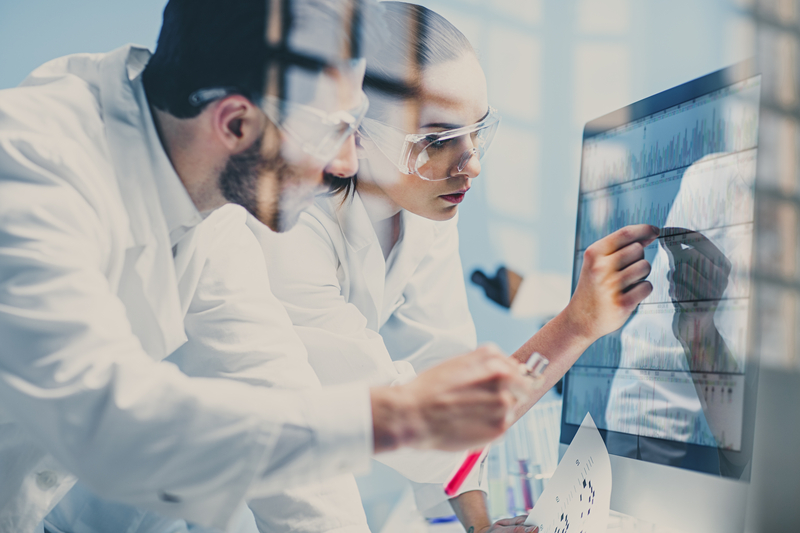 Our nationally recognized, veteran team has extensive operational expertise in life sciences and investment expertise in maximizing long-term risk-adjusted returns. Our team’s strategic and operational experience covers most therapeutic classes of life sciences including strategic planning, corporate development, operations management, product development, clinical and regulatory, product marketing and sales management. Management is aligned with shareholder interests in creating fundamental value via ownership and performance-based compensation. Dr. Steven Gerst is the Co-Founder and Principal of Asclepius Life Sciences Fund L.P. Dr. Gerst holds Series 7 and Series 65 Securities Licenses. He focuses on biopharma and medical technology. Dr. Gerst is a graduate of the Columbia University College of Physicians and Surgeons (M.D.) and is an Aresty Scholar of the Wharton School of Business at the University of Pennsylvania. He is a graduate of Columbia College (B.A. ), Columbia School of Public Health – Health Administration (M.P.H.) and the Goizuetta School of Business at Emory University (M.B.A.). Dr. Gerst is Board Certified in Medical Management and is Diplomat in the American College of Healthcare Executives. Dr. Gerst is formerly Senior Consultant and Regional Medical Director for what is now PricewaterhouseCoopers, LLP. He was President of Columbia/HCA’s PPO division nationally under Florida’s current Governor, Rick Scott, and Vice President of the corporation (NYSE:HCA). Prior to that, he was Assistant Vice President of Crawford & Company (Atlanta; NYSE:CRDA and CRDB) the world’s largest independent claims management company, with more than 700 offices in 70 countries. At Crawford & Company, he built the first nationwide PPO for AIG, Boeing and other Crawford clients with 1,200 hospitals and 120,000 physicians. He began his career with what is now Premier, Inc. (NASDAQ: PINC) serving 3,750 member and owner hospitals where he built HMOs, PPOs and ran the Utilization Management consulting division. Premier is the nation’s largest Health Care Group Purchasing Organization. He is also Dean Emeritus of the Masters of Science Program in Applied Health Informatics at Bryan University (Los Angeles, Sacramento, Toronto and Phoenix) where he serves on the Board of Advisors and has taught on the faculty (http://bryanuniversity.edu/advisory-board-members/?). He is heavily involved in the medical device industry, remote patient monitoring and telemedicine and is currently working on projects with Intel, AT&T, Citrix, Cognizant, ADT, Qualcomm, Epic and Cerner developing connected health platforms for large integrated delivery systems and IPA groups. Norman “Nick” Carey is a Trader with Asclepius Life Sciences Fund, L.P.
Mr. Carey has been in the investment management business for over 25 years. He is currently the senior managing principal at Watch Hill Investments, Boston, Massachusetts where he has successfully managed and traded over $220 million dollars of securities for a private fund since 1996. Mr. Carey also was formerly associated with Bear Stearns, Donaldson, Lufkin & Jenrette and Prudential Securities in their Boston offices from 1992 through 1996. Mr. Carey is a graduate of Boston College with a Bachelor of Arts degree in English. In addition to Mr. Levas, Mr. Carey will be overseeing the daily trading of the Asclepius Life Sciences Fund and will act in the capacity of Assistant Head Trader.